Something musical this way comes! The Chippewa Valley will welcome its first ever show choir camp June 25-29. Campers in grades 6-12 will sing, dance, and act their way to show choir excellence in just a week. Camp staff includes choir directors Lauren Lierman and Justin Ranek, acting and theater coach Kim Butnick, and choreographer Nick Quamme. Ranek, the camp director, said the goal is to make this kind of experience accessible to the youth of the Chippewa Valley. 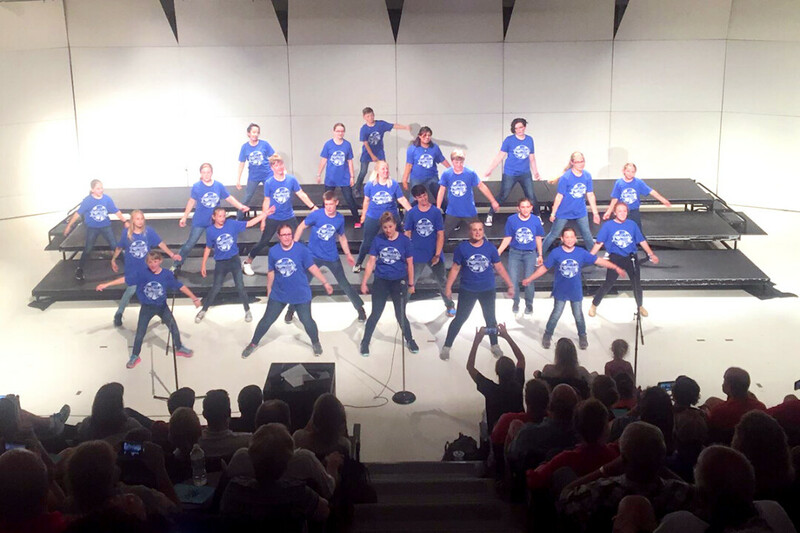 Show choir camps are common throughout the rest of the country, but not around here. Ranek wants to bring this kind of opportunity to the Chippewa Valley to show youngsters just how far their talents can go with a little hard work and guidance. The camp will conclude with a public performance on Friday, June 29. Registration for the camp costs $250 until June 1. After that, the fee jumps to $300. The fee covers healthy snacks, lunches for the week, sheet music, a camp T-shirt, tickets to Friday’s concert, and a life-changing experience! To learn more, visit their facebook page. Creative family activities covering: visual arts, music, theater, books, movies, computers, writing and crafts.